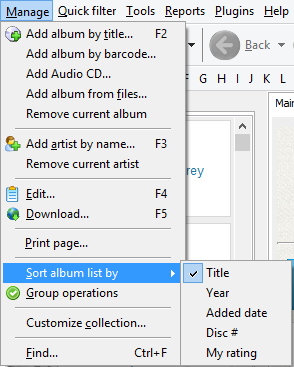 Here we see that we can sort our albums by title, year, date added, disc#, rating. Still no sorting by artist. Previously we discussed how to select all albums of an artist. 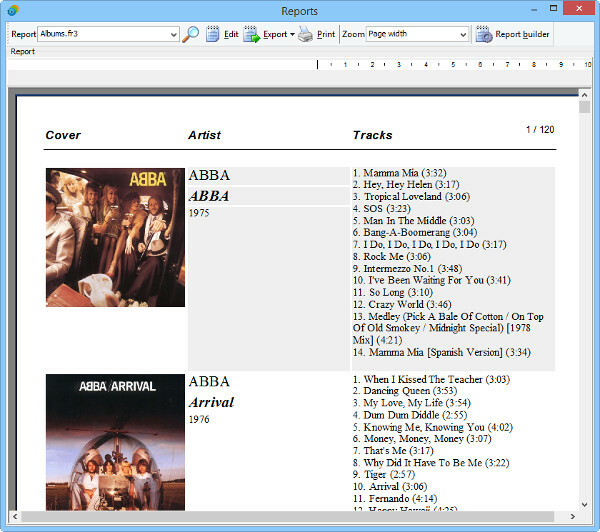 This would allow us printing the selected albums in a separate report. But still we may want to print the complete catalog, without selecting albums of each artist separately (which may take weeks with big collections). Right-click on the item. 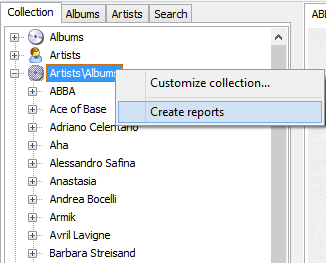 From the context menu, select "Create reports". Click on the "Print" button, or us the arrow next to the "Export" button to select the format you want to export your catalog to.